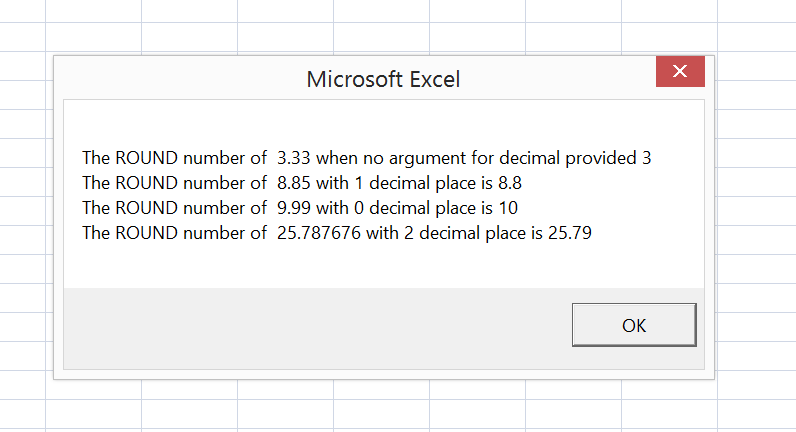 The ROUND function in MS excel returns a rounded number based on the specified number of digits. Note : If you don’t provide the decimal places the function will consider it as 0 and returns the Integer. Number which requires to be rounded. 221 queries in 0.103 seconds.